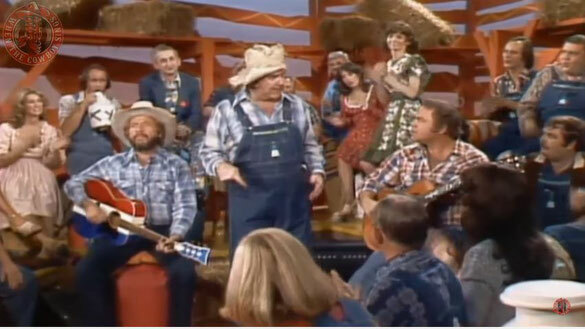 Buck Owens,Roy Clark And Ed McMahon performs "The Martins and the Coys" on Hee Haw 1980. Edward Leo Peter McMahon Jr. (March 6, 1923 – June 23, 2009) was an American announcer, game show host, comedian, actor and singer. McMahon and Johnny Carson began their long association in their first TV series, the ABC game show Who Do You Trust?, running from 1957 to 1962. Then afterwards, McMahon would make his famous thirty-year mark as Carson's sidekick, announcer and second banana on NBC's highly successfully The Tonight Show Starring Johnny Carson from 1962 to 1992. So just listen close, I'll tell you what saw. They could knock a squirrel's eye out at ninety feet. Cause the Coys they needed eggs for breakfast, too. 'Cause they punctured him 'til he looked like a sieve. Just how many bit the dust is hard to tell. On each side they only had one person left. And the folks all knew they'd soon meet face to face. Both had sworn that they would finish up the job. You could see that love had kicked him in the face. It broke up the best durn feud in these here hills. And they carry on the feud just like before.